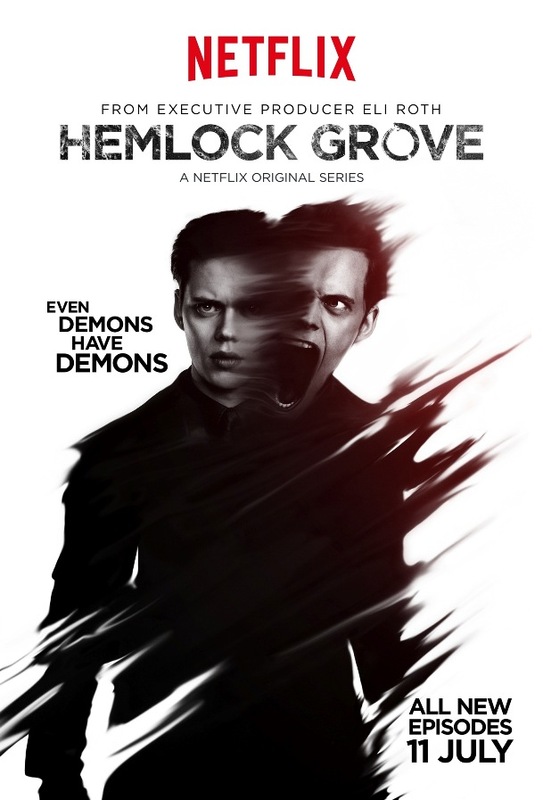 Netflix’s chilling original series Hemlock Grove returns for an all-new second season with more gore, chills, murder, suspense and blood than ever before on July 11th! In anticipation of next week’s premiere, we have an exclusive first look of the Season 2 character posters of Olivia, Roman, Shelley, and Norman! 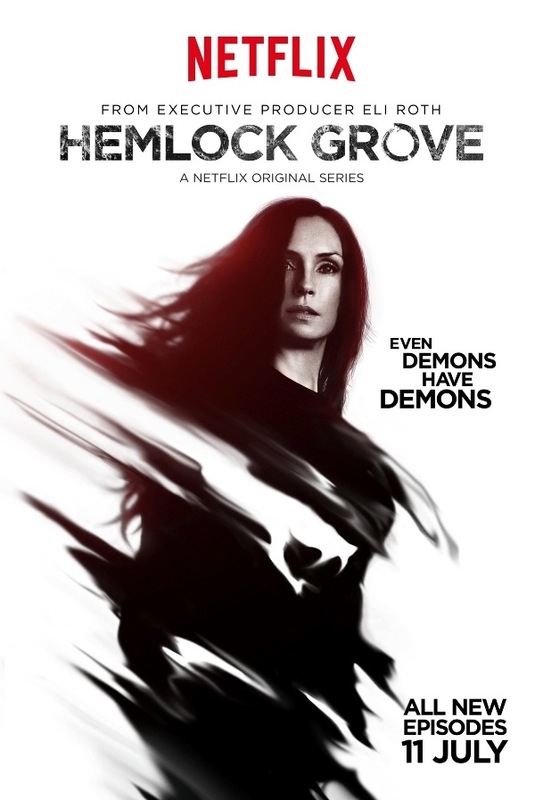 The Eli Roth thriller that garnered an Emmy nomination for special effects features returning stars Famke Janssen, Bill Skarsgård, Landon Liboiron, Dougray Scott, Joel de la Fuente and Tiio Horn. 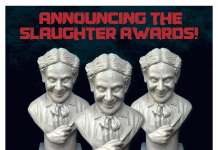 The series welcomes newcomers Madeline Brewer (Orange is the New Black) and Madeleine Martin (Californication), along with new showrunner/executive producer Charles “Chic” Eglee (The Walking Dead, Dexter). 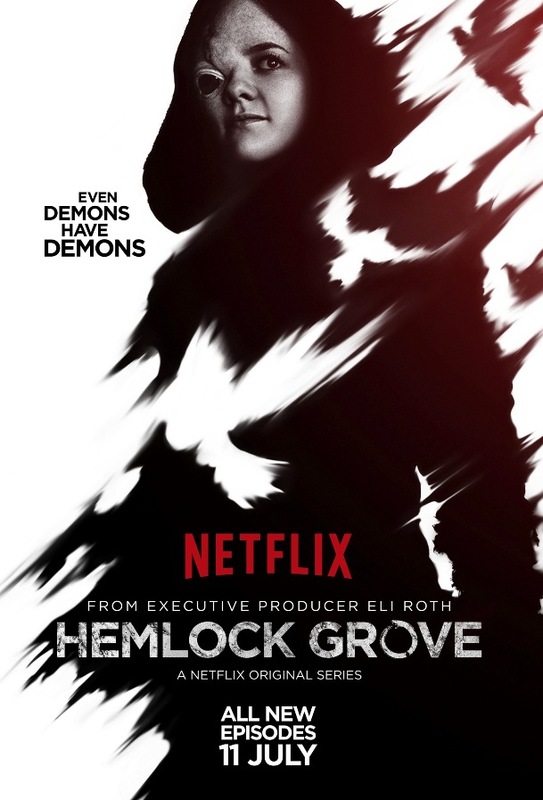 Season two of Hemlock Grove premieres with ten episodes only on Netflix on Friday, July 11th at 12:01 AM PT. Season two continues with the town coming to grips with the shocking massacre incurred by one of its deadliest creatures. Roman and Peter are now faced with new responsibilities and the realities that come with adulthood. 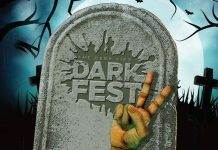 Roman’s relationship with his mother, Olivia, is all but dead as he struggles with his unwanted Upir birthright and the disappearance of his sister, Shelley. Peter moves in with Destiny and is forced to get a job after his mother is sent away. 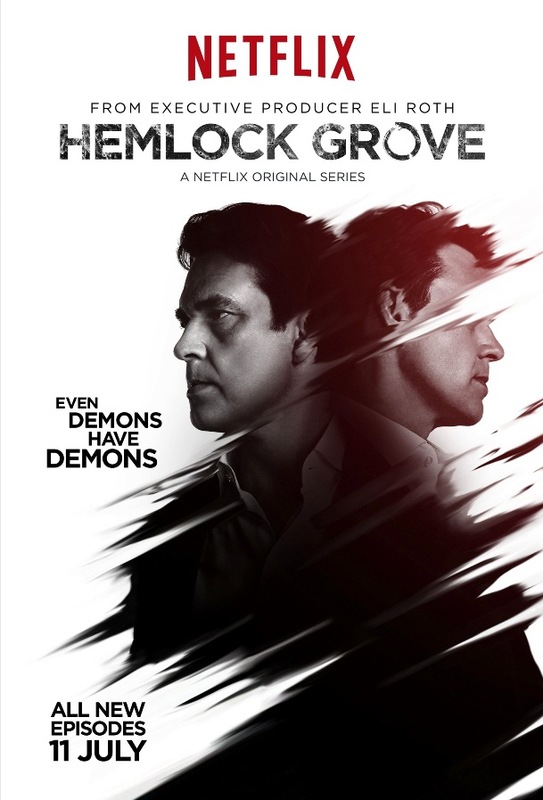 Meanwhile, in search of a new life, newcomer Miranda Cates, embarks on Hemlock Grove with an unknowingly profound effect on Peter and Roman. And Norman, still reeling from the loss of his family, must face the harsh truths that are uncovered about those he still loves.